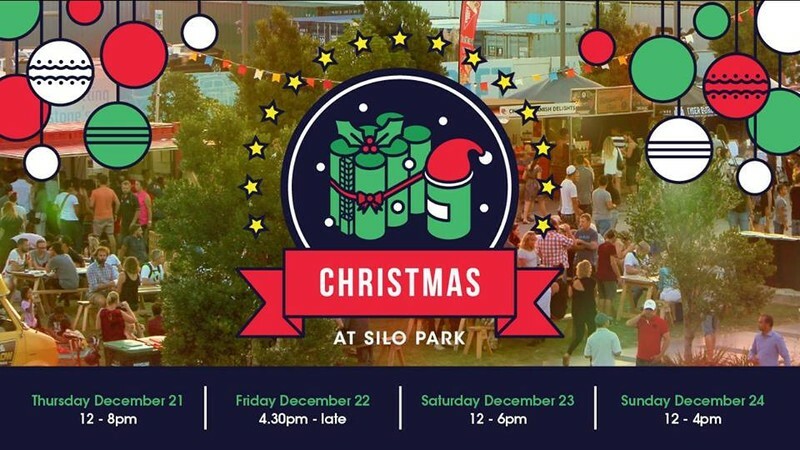 Your much loved urban playground, Silo Park, is back and starting the season with four days of Christmas celebrations! Come join us from 21 Dec to 24 Dec for some festive fun, with music (DJs to carolers! ), food trucks, entertainment, games, and the ever delightful Silo Park bar serving you some extra special christmas cheer. Santa will even be joining us on the Saturday and Sunday! Of course, Silo Cinema will be playing on Friday night - your choice of Love Actually, Home Alone, Miracle on 34th Street and Scrooged. Follow us on Facebook to get your vote in soon! ...and this year we're going all out and throwing a Piñata Party - yes, a Piñata Party! - in support of Auckland City Mission! Come see the creations throughout the weekend, make your own, and take part in revealing their contents on the Sunday (gold coin donations appreciated)! Everyday there'll be drinks, Food Trucks, music, and lots of Christmas cheer, with some special treats on different days. See below and take your pick (or come to all!). Thursday 21 Dec, 12pm - 8pm. Friday 22 Dec, 4:30pm - 11:30pm. Silo Cinema, people's choice film - Love Actually, Home Alone, Miracle on 34th Street & Scrooged. Saturday 23 Dec, 12pm - 6pm, and Sunday 24 Dec, 12pm - 4pm. Piñata making workshops on the Saturday, with 2pm whack-them-open on the Sunday! From 1 to 4 both days, there'll be traditional Māori and old fashioned games for all (tug of war, wheelbarrow, egg and spoon, and more), and Santa photo opps from 1pm to 3pm.